The mimosas were 80% OJ. Received soups and within 4-5 spoonfuls our entrees arrived. Set the soup aside to eat entree which was lukewarm. Our server basically abandoned us. Coffee wasn’t refilled. When desserts came we asked for more coffee. 5 minutes later the coffee arrived and we needed more cream. Another 5 minutes later the cream came, coffee was now warm. We have always loved Seasons 52 but will never return to this one. I really enjoyed my visit for Easter Brunch. Great price and excellent service. We showed up early for our reservation and were sat down right away. Our waiter was very knowledgeable and great with suggestions. We even asked about what spices they put on the bacon and he went to ask the cooks exactly what spice it was and reported it to us. Manager stopped by twice to check on our visit and talk to us about our meal. I would recommend you go eat here. I will be coming back again soon. Easter/Birthday brunch w Parents. It was delightful. Absolutely loved the Chilean Sea Bass!!! The yummy martini and dim lighting always love. 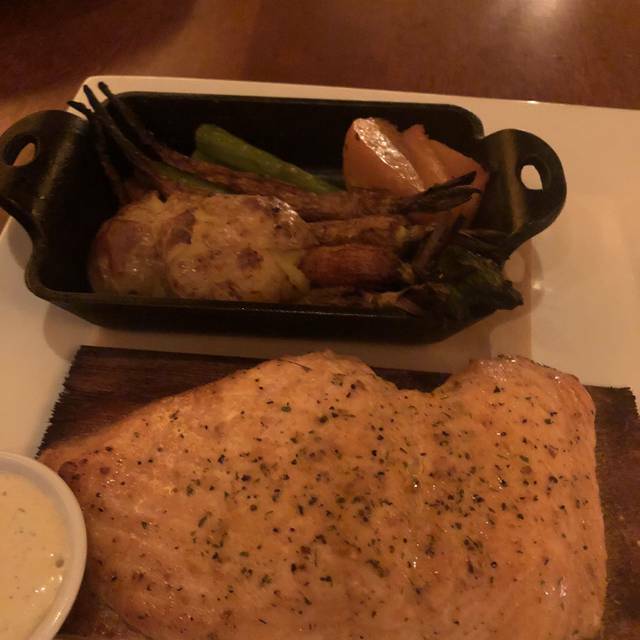 The food was excellent, I had the salmon, which was cooked to perfection. However, my side (mashed potatoes) were cold, which didn't allow me to enjoy them. The service was not terrible, but it did take them about 8 min to greet us. Overall, I would recommend the salmon and would return. A well-kept secret, great experience! Our server PEPE was nice but he was too busy with other clients and working by himself. we ordered a few entrees they arrived fast, but the waiter did not have time to bring small plates to eat them, also the wine we ordered did not arrive, in the meantime the food was getting cold. the wine listed on the printed menu was wrongly listed and a lady (cannot remember her name) came to explain to me that the Pinot Noir that i have ordered in the past, and was listed under red wines was now actually a rose wine. (?) she offered no apologies or alternatives, just this unusual comment. another waiter CHAD came to the rescue to help. I celebrated my birthday here in the past and he was our waiter, he is consistently very good. the food was good, the experience was not this time around. The lighting is dark around the bar area. 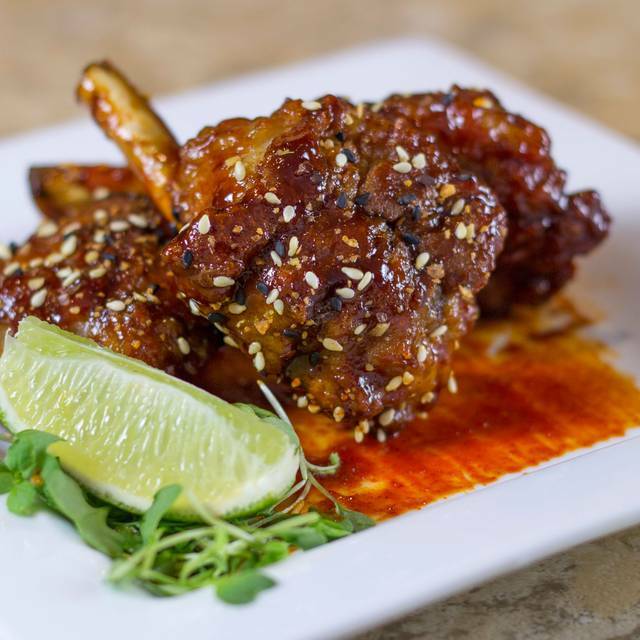 Try the lamb and grilled shrimp during happy hour. Friendly staff but not attentive. We are regulars for Seasons 52 at various locations. This location is similar to all. Server was outstanding providing good advise or wine and food choices. Food was very good and service was outstanding. i have to say, the food is outstanding ,and well worth the idiosyncrasies we experienced. We arrived a bit early, and were asked to wait at the bar while they wiped down our table ready. After 30 mins, I went back to the hostess stand and asked for our table, and was told it was just cleared, she would come and get me. Another 20 mins and I went back and asked again this time standing there to wait. It took quite some time to get a table, which I understand, but it was just frustrating to continue to be told it was ready and we had to keep waiting. The servers are all fantastic, and is the food. just give me an up front estimate on my wait time. 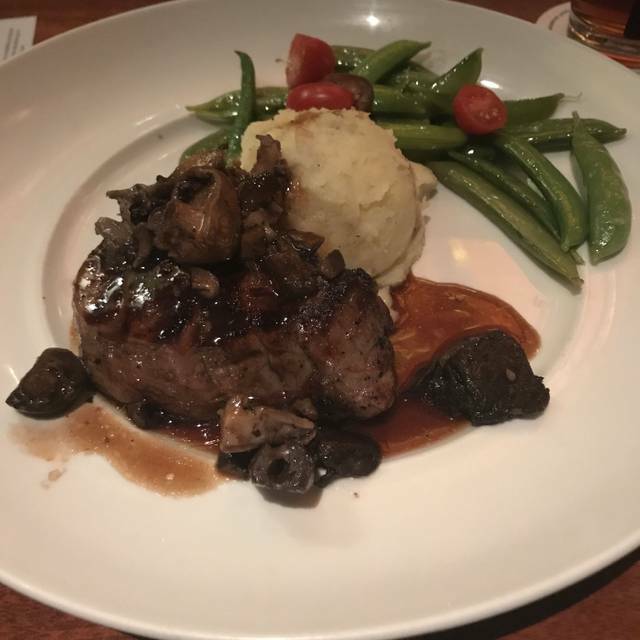 you won't regret going to Seasons 52!! Tuna tartare was amazing. Lamb was properly cooked, didn’t care for what it came with. My fiancé and I came for an anniversary, and it was an extraordinary dining experience! The food was absolutely delicious, but the customer service was the highlight: everyone we interacted with took the time to make our night special. We will definitely be back again soon! They took the extra time and effort to make my son feel special for his 14th birthday. The noise level was not due to the clientele, but rather to the waiters behind the bar. Please teach them NOT to throw empty bottles in the garbage can; it's loud for the customers sitting next to the bar. The food is amazing. Mandi is the best manager at this location. When dining here, I would highly recommend either the sea scallops, the steak, or the rainbow trout. 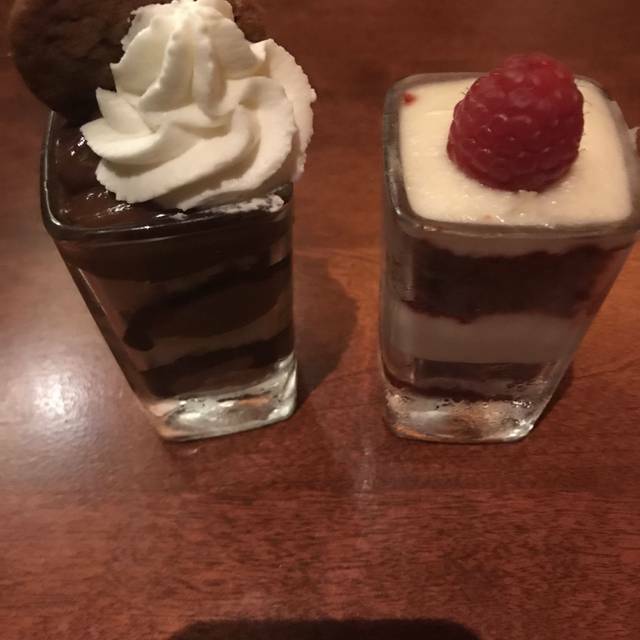 There desserts are top notch because they come in little shooter glasses so that you do not overindulge. The food and service were fantastic. We went for a birthday celebration and the staff were very attentive--they even presented the person celebrating the birthday with a card, signed by the staff! The dessert flight (free to the birthday person) was outstanding. We were really pleased with the visit. We celebrated a birthday and they made it a very special, memorable evening!! Card, flower, complimentary desserts and champagne perfect!! and we had a wait person who has served us before. Cody. Nice to see him again. Great place to celebrate a B-Day. This is one of my favorite places for Dinner or Happy Hour. Food and service are outstanding. Food not quite up to previous standards. Maybe just an off night. Roast chicken bland and breast meat somewhat dry depending on excellent sauce for flavor of which there was not enough. A little louder than usual--two large tables of women. This was our first lunch experience and compared to dinner it was much quieter in terms of numbers of customers. We ate at the bar and enjoyed excellent service and the food was very good as usual. I had the tuna tostada which was a new dish for Spring. I liked it very much though thought it was on the small side for a main dish. A very small portion of tuna sitting on a tostada with some sauce and a few lettuce leaves. 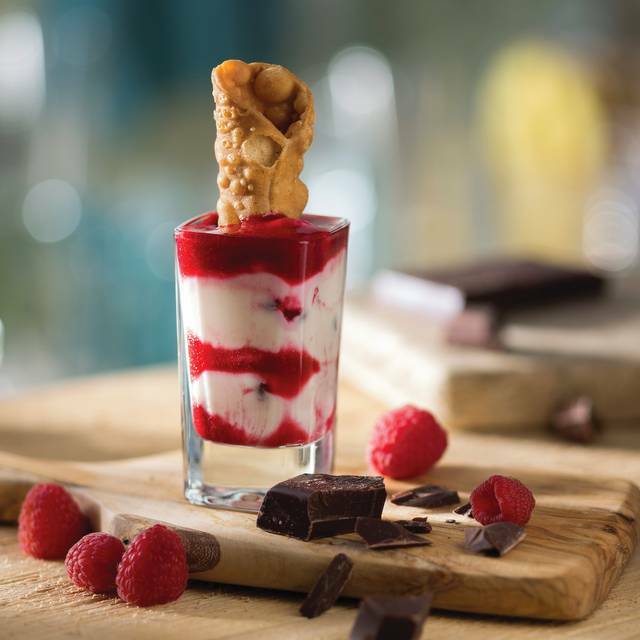 Please consider pricing this as a starter, or, increase the portion size! This wasn't the usual good size portion that Seasons 52 serves. We love this restaurant! Excellent food and service. Excellent dining experience. We were seated at our reserved time with no waiting. The wait staff was attentive and everything was correct in our order. We utilized the preset spring menu and were not disappointed. 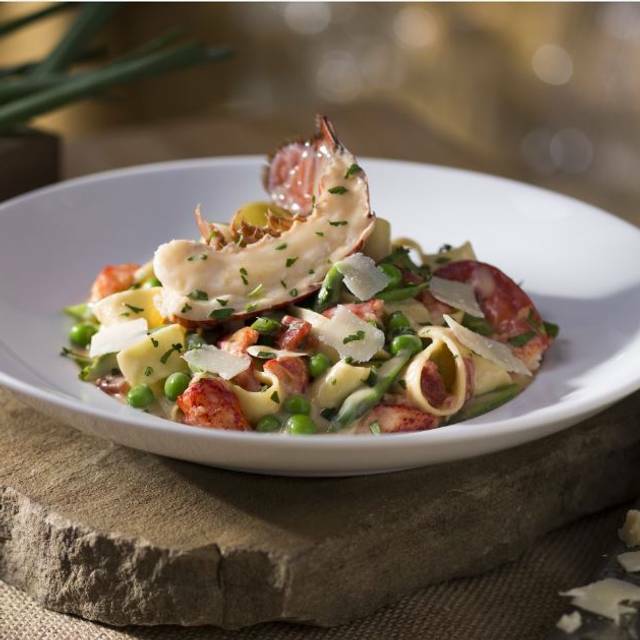 Dining at Seasons 52 is always delightful! The new Spring 3-Course menu is outstanding and we enjoyed the split pea and kale soup and the strawberry Romaine salad. My friend and I each had the grilled scallops that were grilled to perfection. The 3-Course meal was rounded out with Seasons 52 mini desserts! Our server, Robert, was friendly and attentive. Thanks Seasons 52 for another great experience! We went to Seasons 52 to celebrate our son's birthday. We didn't mention to the restaurant that we were there to celebrate a birthday. After we were seated, a manager came over with a sunflower and a signed card, asking if anyone was celebrating a birthday. She must have noticed the birthday gift bag that I had carried into the restaurant. It was so nice that she not only noticed but took the time to come over and wish him a happy birthday. Great Customer Service!! Wonderful, healthy food. The food on this trip was not up to my expectations from previous visits. Ordered Bistro steak, medium. The inside was properly cooked but the outside was crusty and dry. Service and ambience was excellent. Samuel was an excellent waiter. I like Seasons 52- Westheimer and go there a lot. And I recognize the need to make seasonal changes in the menu. But, when both of my favorite dishes, the meatloaf and the short ribs, are rotated out it is a little disappointing . The meatloaf is the only grass-fed beef option they have. Since those options were gone, I had the filet and it is nothing to write home about, in fact, a very weak dish. Service is good, although errors on orders are not infrequent. I'll go back, but I'm very disappointed in the Spring menu that deleted my 2 favorite dishes. Nigel and his assistant (sorry - old man ears could not decipher). Perfectly attentive, not hovering, not MIA..
My friend and I share the same birthday, so get together every year to celebrate. We came to seasons 52 for an extended lunch. 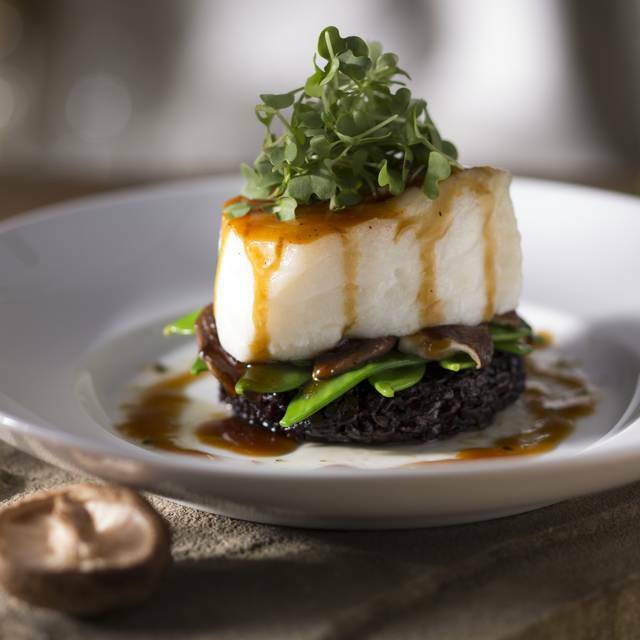 The food was delicious and beautifully presented, and the service was outstanding. They even made a point to celebrate our birthdays with us. We will definitely be back! Service was not as good as we are used to. We come here often and appreciate it very much. 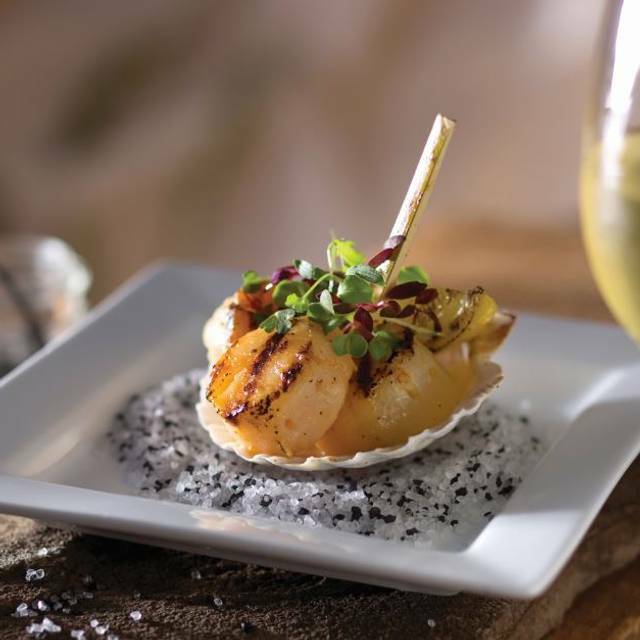 Seasons 52 punches above its weight for a chain restaurant. Professional, knowledgeable, courteous and friendly service, as well as a lovely atmosphere, make for a nice night out. The bar is comfortable yet classy. Nice wines by the glass and interesting cocktails. The ever-changing menu with fresh options, including lots of veggies, fish, chicken, etc. make this a guilt-free evening, full of flavors. Our server, Arshad, was excellent. 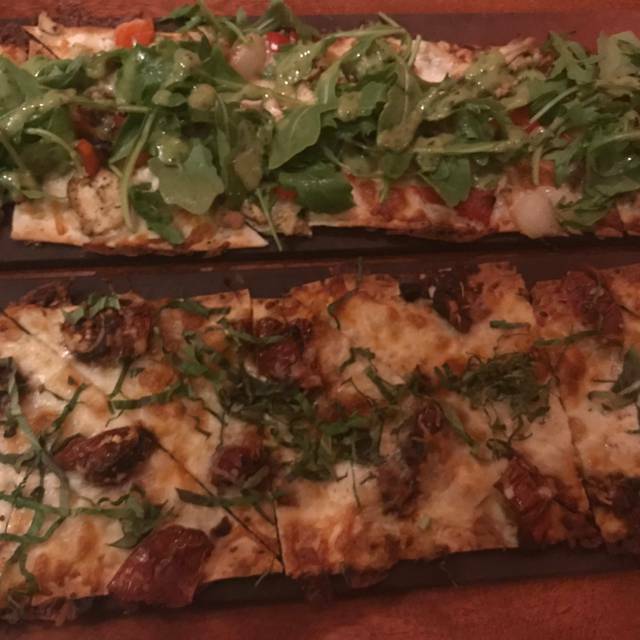 I was proud to take my sister and niece to Seasons 52 for dinner - it's my new favorite neighborhood restaurant. Keep up the good work. Delicious and healthy food. Our waiter, Samuel, gave us great service and had a good sense of humor as well. It was a wonderful dining experience!!! It is a reliable place with good services to bring friends. Everyone can finds something to eat. I wish the wine list is more interesting and reasonable better wine by the glass. Otherwise it is excellent.